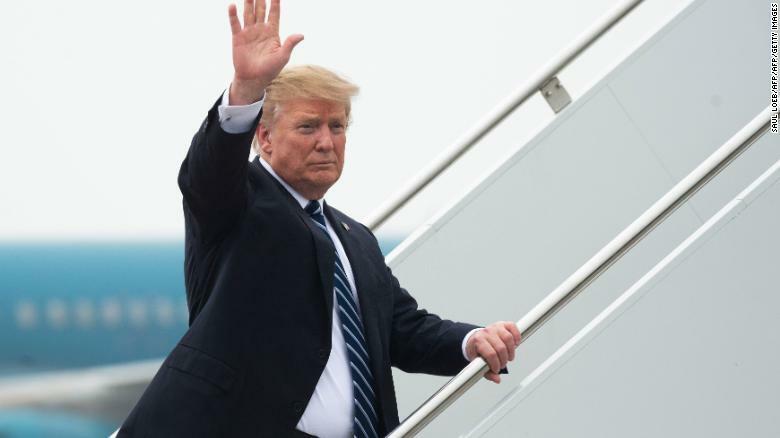 Washington (CNN) Facing mounting pressure, President Donald Trump said Wednesday his administration was ordering Boeing 737 Max jets grounded until more information is gathered about the crash of an Ethiopian aircraft.It was a turnabout from the administration’s earlier position, which deemed the planes safe to fly even as dozens of other nations banned them after they were involved in two fatal disasters. Trump said the decision to ground the Max 8 and Max 9 was made in light of new information about last week’s crash, which killed 157 people. 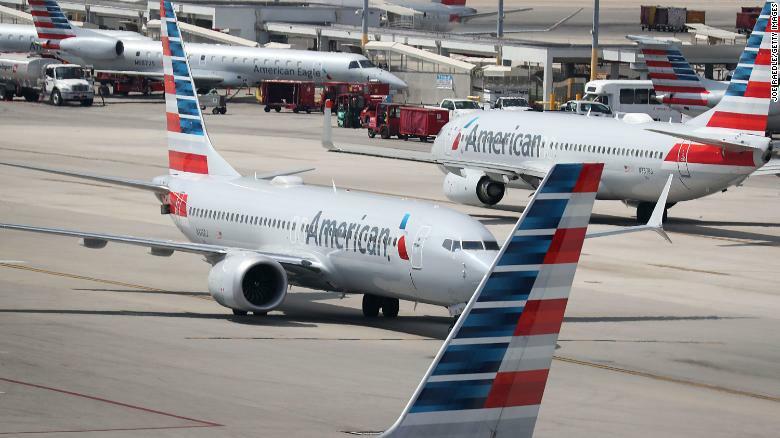 The Federal Aviation Administration said new evidence had been collected at the sight of the crash on Wednesday, and that information — along with new satellite data — led to the grounding decision. Even as he was announcing his administration’s decision, Trump said the move was more precautionary than mandatory. “The safety of the American people, of all people, is our paramount concern,” Trump told reporters. “We are currently seeking confirmation and additional guidance from the FAA,” a Southwest Airlines spokesman said. Trump described the airliner issue as “a terrible, terrible thing” and defended the jet’s manufacturer, which he has maintained close ties to over the course of his presidency. The global grounding of Boeing’s 737 Max 8 airliner had drawn new attention to the close ties between the manufacturer and the Trump administration. That view changed by midday, as Canada’s minister of transport said the country would no longer allow Boeing 737 Max 8 or 9 aircraft to take off or land in Canada. A day earlier, the European Union suspended operations of the model. That followed announcements from countries in Asia, Africa and the Middle East declaring use of the plane forbidden, for now. Startling real-time flight tracking maps showed the plane flying only over North America — and nowhere else — as the White House and the FAA continued to deem the aircraft safe. While the President was not explicitly pushing for the grounding over the last 24 hours, Canada’s decision made it untenable for the US to hold out, according to an official familiar with the matter. Despite the initial reluctance to ground the planes, Trump insisted on Wednesday his administration had acted quickly and “fact-based” in response to the crash, which occurred on Sunday. Sen. Richard Blumenthal, a Connecticut Democrat who sits on the Senate Commerce, Science and Transportation Committee, said the partial government shutdown at the start of the year may have affected the FAA’s ability to execute planned software changes on the Max 8 planes. But the FAA’s Elwell denied the shutdown affected anything. “We just got confirmation that the shutdown did not cause any delay in work on the software — the software addition to the MAX,” he told reporters Wednesday. The FAA didn’t respond to a request for comment about the complaints. The administrator role has been filled in an acting capacity by deputy administrator Elwell for more than a year. Dickson was Delta’s senior vice president for flight operations and is a former military and commercial pilot, including of earlier versions of the 737 aircraft.